And Donna Knapp (@ITSM_Donna) will be co-presenting with Anthony Orr: Breakfast Briefing 01: How to Pass Your MALC Exam – If you are planning on becoming an #ITIL Expert, and you are attending Fusion, don’t miss this breakfast! Until your next visit to LisaLand…Happy Conferencing! At the recent winter Olympics in Sochi, Russia, we saw athletes from all over the world striving for excellence. Some turned in the best performance of their lives and came home with a gold medal. Others, some favorites, struggled and saw their dreams slip away. In this presentation, we’ll see how DevOps done right is a lot like the Olympics. If you set reasonable goals, train hard, and execute well, you’ll reach DevOps Gold, too. But if you take your releases for granted, you may end up with nothing to show for it. It’s SUCH a great word, and great way to live your life… I wish people used it more, and lived it more! We are VERY pleased and excited to have Jeffrey Brooks, a Research Vice President with Gartner, Inc. as our presenter on our next webinar. Jeffrey Brooks is a Research Vice President in the IT Operations Management team of Gartner. His research focuses on IT service management, including service desk, incident management, problem management, change management, process improvement (including the ITIL framework) and SLA management, as well as IT service catalog. Mr. Brooks helps clients understand the key metrics, best practices and core processes required for IT to deliver meaningful service and support that align to the goals of the business. Mr. Brooks has also authored numerous publications, including co-authoring “The Help Desk Manager’s Crash Course” (2009), and he has received numerous individual and team awards, such as Customer Service Manager of the Year (2011) by the Stevie Awards for Sales & Customer Service, HDI Team Excellence Award for External Support (2010), and Customer Service Company of the Year (2009) at the NCTA 21 Awards. I’ve been meaning to write the blog, “I Left My Brain in San Francisco” for the last 2 weeks. Unfortunately, without a brain, it’s pretty hard to write a blog! And I say that I left my brain in San Fran, because it was blown away by what I learned, saw and heard at the ServiceNow #Know14 conference. What a great event they have grown into. The line-up of presenters, topics, labs… it’s really a well orchestrated week, filled with learning and fun – two of my favorite things…. 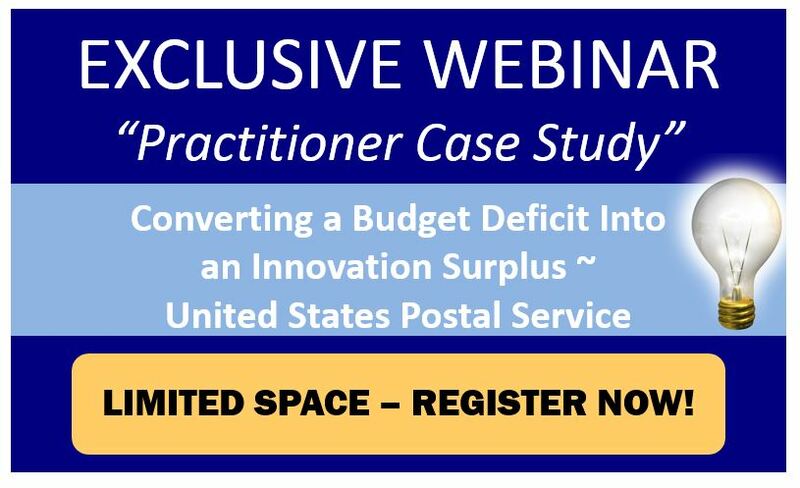 One of the BEST presentations was by the folks at the United States Postal Service, titled Converting a Budget Deficit Into an Innovation Surplus. The title certainly caught my attention, and it sounded like it might be a little different from the other presentations, so I attended. And man, am I glad that I did! Presenters: John Edgar, VP of IT and Kathleen A. Warnaar, Manager, Performance Achievement, United States Postal Service. Have questions you want included? Post them on Twitter; #askITSM.